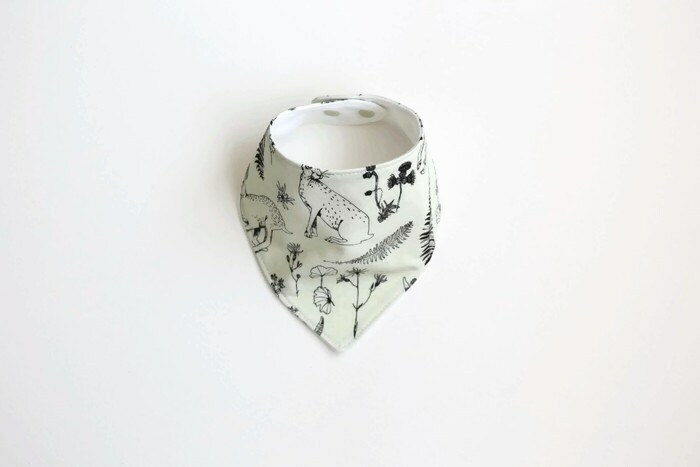 This adorable bandana bib with hares and plants is great for your little one! 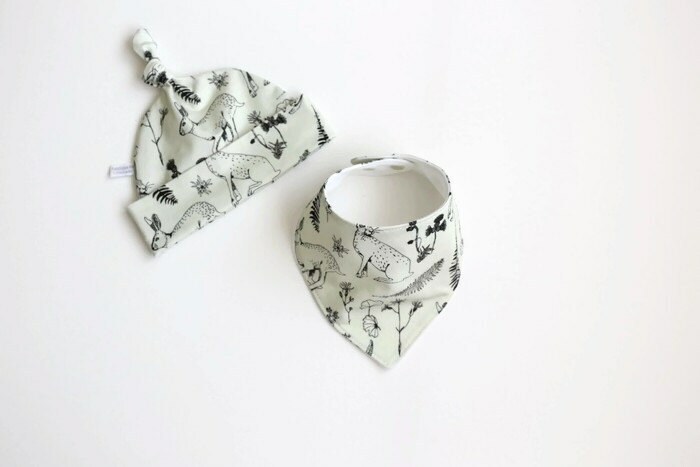 Not only does this bib absorb your little one's drool, it also looks super stylish. Made of cotton, flannel backing, and a snap closure.